Do I Need A Teacher? Is Your Child Ready to Learn Piano? There are so many different kinds of keyboards and digital pianos on the market and so it can be very difficult to select the right one for you. 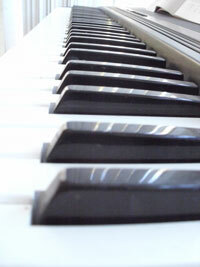 There are many different variations of keyboard and digital piano offering a multitude of functions and presets. The following article aims to help answer some of the questions you may have when looking for a keyboard or digital piano. How much should you spend? Which brand is best? Do you really need to spend a lot? These are just a few of the questions. Let’s take a look at how to choose a keyboard or digital piano you’ll be happy with and will get a lot of value from. When it comes to using digital pianos or keyboards there many benefits compared to a traditional acoustic piano. They cost just a fraction of the price of an acoustic piano, they don’t require expensive and laborious tuning, they are very portable, they are small and compact and you can even use headphones to practice and play. With so many benefits to owning a keyboard it’s easy to see why so many people are choosing the digital version over the old acoustic style instruments. Let’s take a quick look at certain things to keep in mind when looking at available keyboards/digital pianos. How many keys will you need? You can choose between 61, 76 and 88 keys. Most beginner players start off with 61. Is the keyboard touch sensitive? Touch sensitivity means that if you play a key softly, it makes a soft note, and striking a key harder results in a louder note. Keyboards that lack touch sensitivity make the same volume no matter how hard you press the keys. You can learn the basics of music and music notation on a non-sensitive keyboard, but it’s impossible to ‘play musically’ when the notes don’t get louder and softer according to your playing touch. 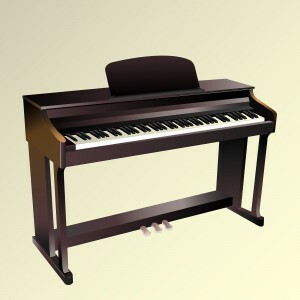 You could also consider a weighted keyboard which replicates the feel of a traditional acoustic piano. This would be a must if you were interested in playing the ‘classical’ repertoire, however it does have the disadvantage that it requires greater finger strength and can be tiring if you are playing for long periods. How important are ‘bells and whistles’ to you? You can get the most basic digital piano that does nothing more than play the keys you press or you can get an instrument that will also allow you to have much more control over the sounds you create. Keep in mind what you want and what you can afford since the more features you want the more you’ll need to pay. Do you have a brand in mind? Just like with any other instrument on the market there are some brands that get a bad rap and some that are held in very high regard. Whether or not you are brand loyal will usually decide what you’ll want to look at. Brands like YAMAHA, CASIO, KORG, ROLAND, KAWAI, KURWEIL are some of the more premium brands. Where do you plan on using the instrument? If you’re the type of person who moves around a lot or will be playing in a smaller, cramped space—these are things you’ll want to consider. Going with a smaller and more compact unit is great for travel and smaller studio space while if you have room to spare size won’t be an issue for you. Do you intend to perform with your instrument? Live performances might be the last thing on your mind right now but it is definitely something to keep in mind for the long-term. If you think you may use your keyboard or digital piano to perform live or even for a small group of people you may want to get a larger keyboard and one that has an output port to plug-in to speakers or amplifiers. Are you going to be learning to play with your instrument? 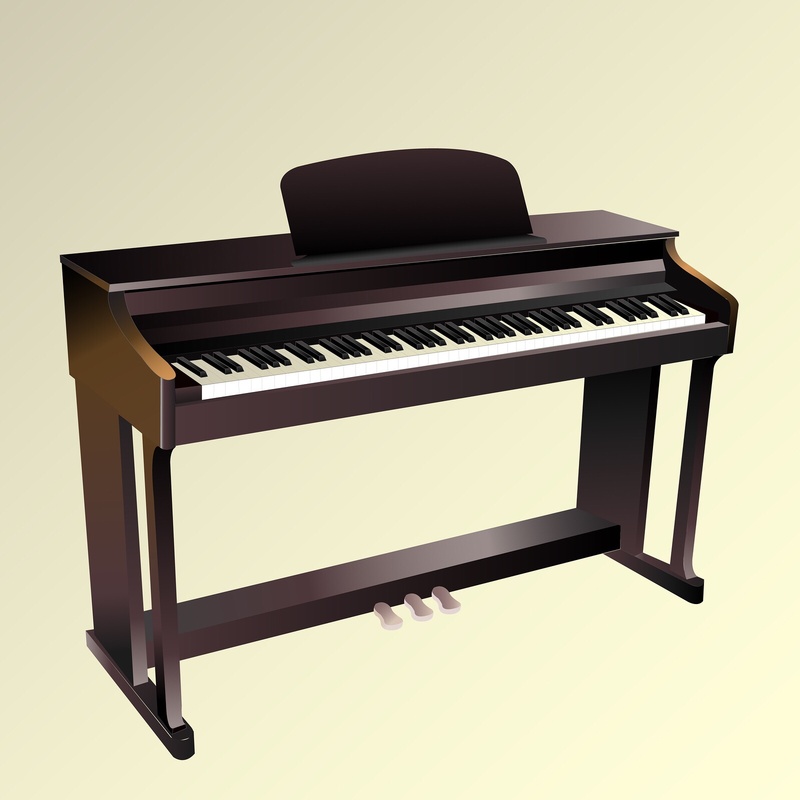 If you are a beginner and just starting off playing you might want to consider investing a bit more money into your instrument and getting a unit that assists you in playing songs by utilizing a graphic interface, back-lit keys and other features to help you learn to play piano faster. Will you be the only one playing it? If you live in a larger family or have multiple people who may be sharing the unit, you might want to consider everyone’s preferences when making your choice of a digital piano or keyboard. This will make sure that everyone can play it comfortably. What is your budget and price range? A good quality instrument can run you anywhere from $150 all the way up to $5,000 and higher. The good news is that there are plenty of great quality digital keyboards in the $150-$800 range that will be more than good enough for casual playing and even some live performances. Set yourself a solid budget to stick to when shopping for your instrument. Do you plan on ever re-selling it? If you’re the type of person who frequently upgrades equipment and you expect to re-sell the digital keyboard after a year or two to get the latest model, make sure you consider this. Purchasing a better brand at a slightly higher price can help preserve the re-sell value meaning you can get more money back when you re-sell it as long as you keep it in good shape and take care of it. Shopping for the right instrument all boils down to what you want and what your long-term goals and intentions are. Considering what you want, who will be using it and how you plan to play the keyboard will all help narrow down your choices and make sure you get the perfect digital piano. Once you’ve narrowed it down to a few models compare prices and features to make sure you get the most bang for your buck. With just a little bit of diligent shopping and research you can get an instrument that will last you for years and will truly be worth the money you invest in it. For keyboard and piano lessons contact Glenn Sutton at: 619-306-3664. Learn to play the guitar, piano or keyboard. Private lessons are available in Poway for children and adults. Beginners through advanced students are welcome. Learn to play classical, jazz, rock, blues and pop music from a working professional musician. I am an experienced, patient, and enthusiastic teacher with 30 years experience. Lessons focus on proper playing techniques, music theory, keyboard harmony, music reading, and improvisation. © 2019 Poway Music Lessons. All Rights Reserved.